An episode packed with brand new stuff tonight, so join in for a still quite chilling and relaxing show number 94. On tonight's agenda, listen to beautiful tracks by Alpha Lyra, Bernd Kistenmacher, ebia, Steve Roach, and Wim. Plus, get to know about a special offer on the 10th anniversary of "The Cult of: Bibbiboo" by centrozoon. When twenty highly talented current electronic music artists join forces, something really amazing can come to existence. Last week, it was a collective of ambient musicians, this time, it's members of a portal sharing the very same enthusiasm and passion for the EM genre. 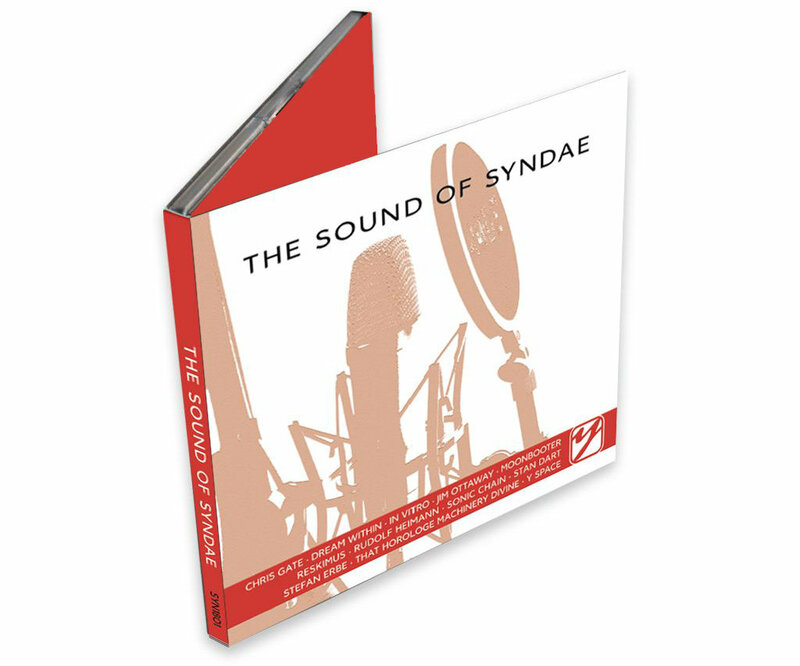 And the result became a double album containing exclusive and outstanding tracks, some of which has been presented on syndae already. Tonight, you get an extra large special on the very album, presenting music by AEM, Arróniz, Chromengel, François-Pol Cornec, Mac of BIOnighT, Na-Koja-Abad, Peter Tedstone, Polaris, and Seren Ffordd. Visit the EM-Portal website to find out more about The Album! Weekend is next, and here we have a special XL edition of syndae to relax and ease your mind. More than 50 minutes of serene and soothing ambient music from three releases of the Ambient Collective. On tonight's dream-menu are somnarium, The Great Schizm, usr/sbin, Bluejooz, Schlaflabor, Pete Farn, and joint forces tracks by Tange, Annode, eigensphere, and Modulator ESP as well as Steve Gane, Altus, Litmus, and Jujigen. Visit the Ambient Collective website for more free downloads of fantastic ambient music! We draw a bow from poetic music to hynpotic sequencing tonight. Teasing your mind with episode 91, starting off softly and then going wild. A fascinating acoustic trip into the worlds of Erik Wøllo, Planet Boelex, Xenoton, Ametsub, and Daniel & Booth. There only is beauty within tonight's episode, having some of the finest ambient and serene sounds to make you feel comfortable. Join in for an extremely relaxing show of 30 minutes passionate peace. Let your ears being pleased by 33 Tetragammon & Human Metronome, Christian Doil, Eyes Cast Down, Megatone, Psicodreamics, and Xenoton. A little aftermath to E-Day tonight, music by people who were to see live on stage or to be met in the halls. It was a great Saturday in Oirschot again and we all enjoyed meeting each other and listening to great gigs. On tonight's episode 89 you will find very recent and brand new releases by Callisto, Geigertek, Gert Emmens, Remy, Stefan Erbe, and TMA. Did you like practicing science at school? Luckily some musicians do enjoy experimenting with sounds and scapes to our delight. Tonight's playlist goes on a rather experimental, avant-garde, and ambient trip, and I hope you will take a ride to the outer regions of electronic music. Episode 88 presents relaxing and thrilling tracks by Alio Die & Parallel Worlds, Ametsub, Gastón Arévalo, Michael Hoffmann, Pesce/De Vito/Henkel, and UtopiaXO. Time to blow all the stress out of your mind, having some really hot material on tonight's show. The most rocky and dancable episode ever, spiced with brand new material that is waiting to be released. Rhythm and drive goes right upfront, with tracks by Maxxess and Wellenfeld. Slowly turning down with chill out by Guido Negraszus and Audiokonstrukte. And finally, starting to relax with the heir of Jarre and Garrison: Schallwelle award winner Meesha. It's spring time in the northern hemisphere and the first barbecues are sprouting in the gardens. And the best, new releases and newcomers are sprouting, too. On tonight's episode, we have both of them. Brand new and relatively new albums by Broekhuis, Keller and Schönwälder as well as by Wellenfeld. A very warm welcome also to a young newcomer from northern Germany: Matzumi, who will have her live appearance at Winnies Gardenparty on July 17th. And all of this completed by a well known EM project, Redshift from the UK.